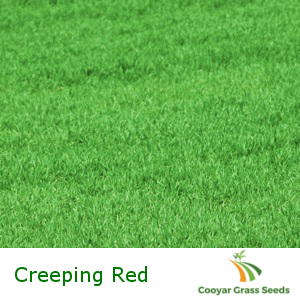 Creeping Red Fescue grass seed is widely planted for turf grass in the transition and Northern cool season areas. While it persists in cool season climates, Creeping Red Fescue is not as cold tolerant as other grass types, such as Kentucky Bluegrass. Its major use is for dry shaded areas as either a pure stand or as a mixture in other grass seed mixtures such as the Kentucky Bluegrass seed and Perennial Ryegrass seed. It can tolerate full sun conditions, though this requires more water. It grows best in well drained sites and in droughty, infertile soils. It does not tolerate wet soils or high fertilization rates, including highly fertile soils. Sowing Rate: New lawns: 2 – 4kg per 100 sq meters.